Undefeated heavyweight Bryant “Bye Bye” Jennings, of North Philadelphia, makes his most ambitious start as a pro when he faces Alex Mejias, of Paterson, NJ, in a scheduled six-round contest on Friday, Sept. 9, at the Asylum Arena in South Philly. Topping the seven-bout card is a scheduled 10-round contest for the vacant Pennsylvania State Junior Middleweight title between Gabriel Rosado, of Philadelphia, and Keenan Collins, of Reading, PA. The scheduled eight-round welterweight semifinal pairs Ronald Cruz, of Bethlehem, PA, with Anges Adjaho, of Buffalo, NY. The Rosado-Collins and Cruz-Adjaho fights will be broadcast on Telefutura’s Solo Boxeo Tecate at 11.30pm ET/PT (10.30pm CT). Jennings is 26 years old. His 9-0 record includes four knockouts. In his last fight July 23 in Las Vegas, he scored a knockdown en route to his second six-round decision victory this year over Theron Johnson, of Chicago, IL. 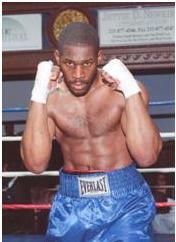 He also knocked out fellow-Philadelphian David Williams and outpointed Mike Miller, of Akron, OH, in other 2011 action. Mejias, 32, is 11-7, 5 K0s, but has faced much stiffer competition. His foes include Amir Monsour, Chazz Witherspoon, Tor Hamer, Derric Rossey and Bowie Topou. Their combined record was 78-5 when Mejias fought them. It’s a big step up for Jennings, who was 13-4 as an amateur after excelling in basketball, football and track & field at Ben Franklin High School in Philadelphia. Four additional fights complete the card, which begins at 7.30pm.